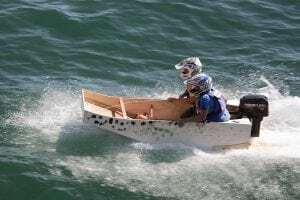 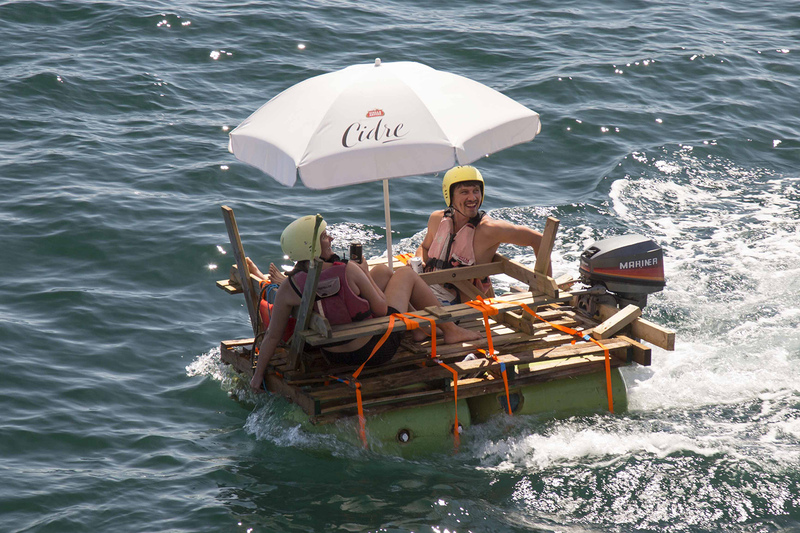 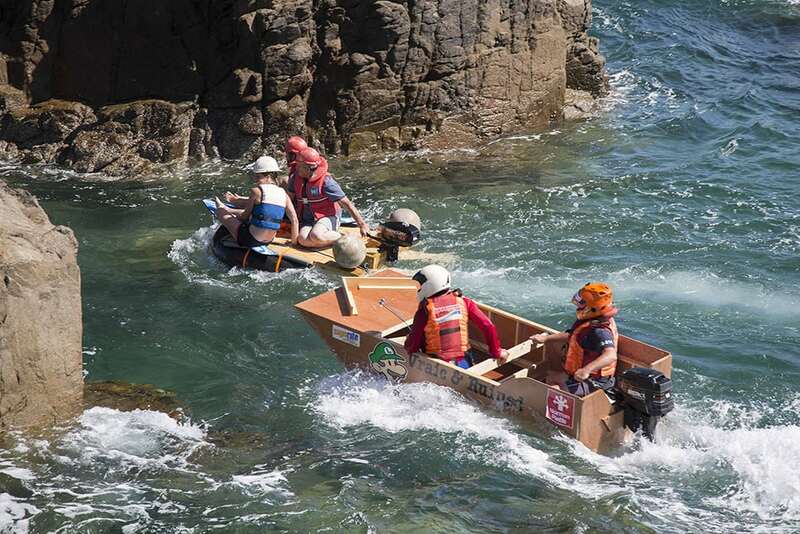 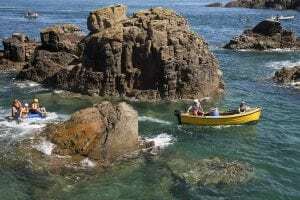 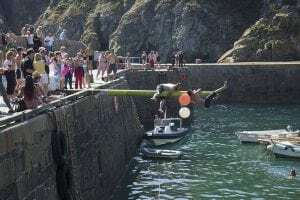 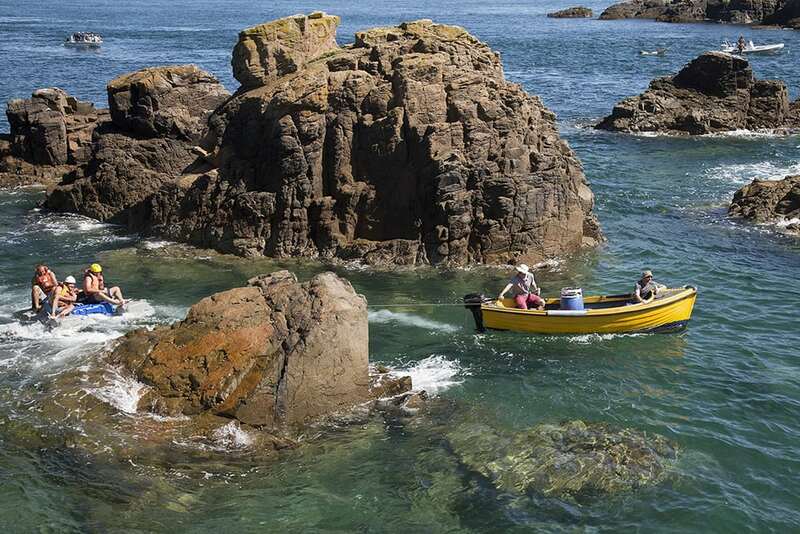 A new event took place in Creux Harbour at the weekend, a boat race with a difference. 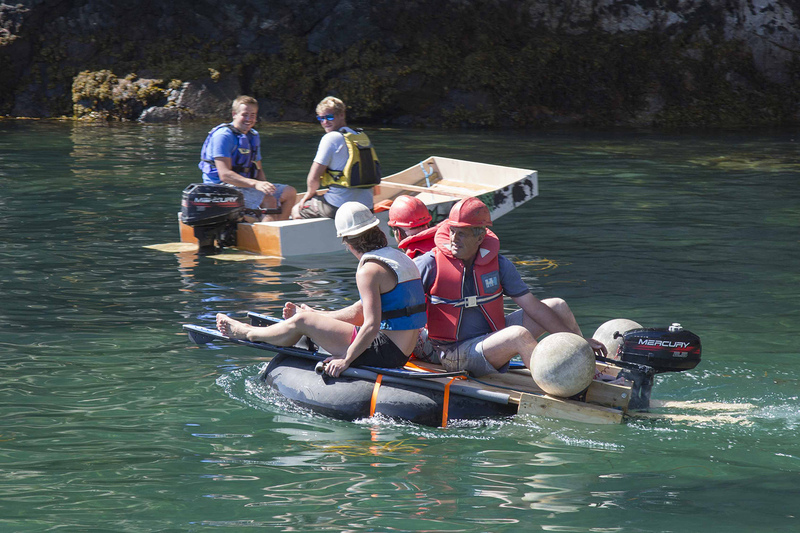 Ten teams had all day on Saturday to build their boat from scratch, with the addition of just a 15 horse power engine to provide propulsion. There were a variety of vessels constructed from a double-hulled racer painted black and red to a concoction of barrels with a couple of seats and a sun umbrella on top. 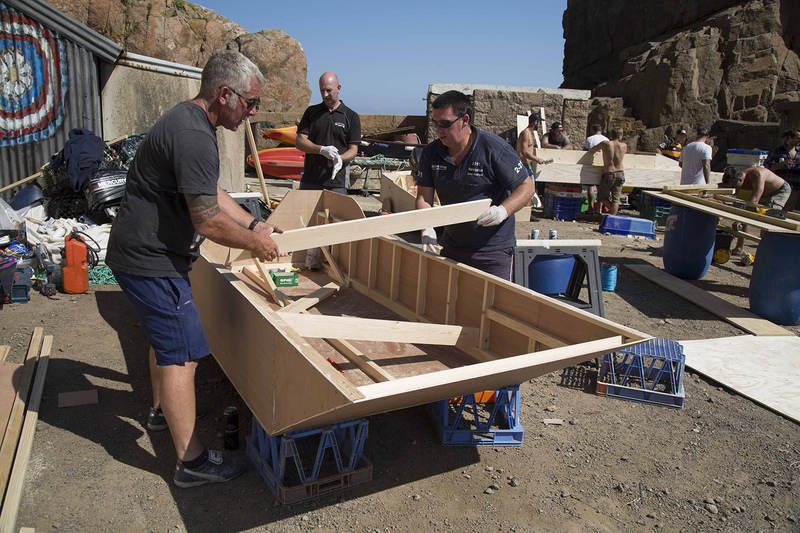 On Sunday the boats raced on a course out the harbour, through a gully, inside the Burons and around the moorings. 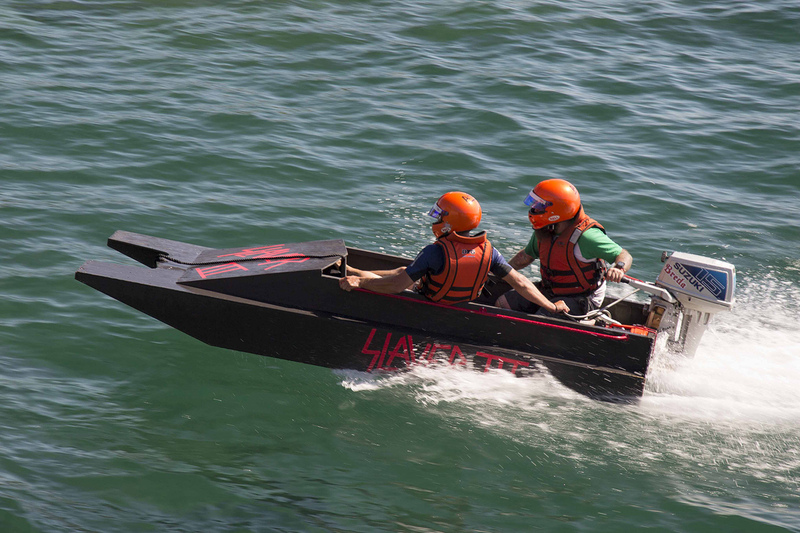 Some teams completed several laps at great speed while others managed a couple of slow ambles around the course and one sank almost immediately. 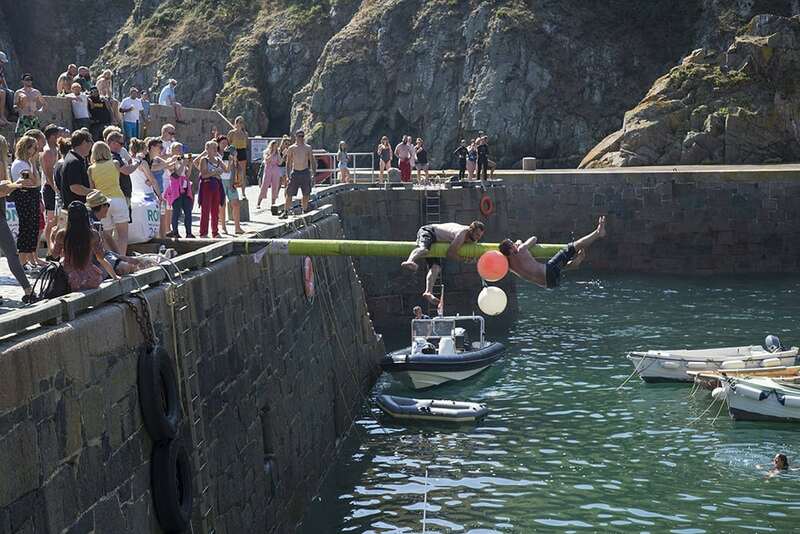 More entertainment was provided by a greasy pole challenge and the whole weekend was enjoyed by residents and visitors alike.